“When big money gets its hands on our politics, it eats away at democracy. 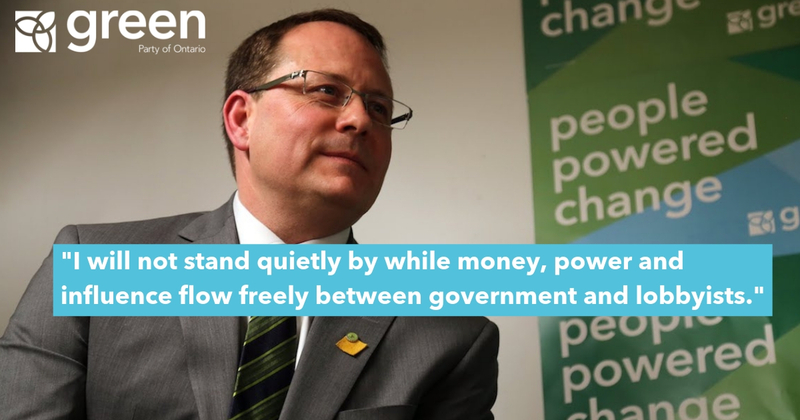 I will not stand quietly by while money, power and influence flow freely between government and lobbyists. I am looking into the actions I can take as an MPP to sound the alarm. I’m considering reaching out to Ontario’s Chief Electoral Officer, Greg Essensa, to look into these allegations. Last year, the Premier quietly raised donation limits and ushered in the return of cash-for-access events, burying these rule changes in the Fall Economic Statement. And now we have allegations the PC Party is pressuring lobbyists to sell fundraising tickets at the risk of losing the ear of Cabinet. It is simply wrong for any Premier to sell access to government decision makers. Big money has no place in our democracy. Deep-pocketed insiders buying influence with government threatens our democracy and the people and places we love in Ontario. If members of this government are directing lobbyists to build up their re-election war chest, it begs the question of what the lobbyists will be rewarded with?